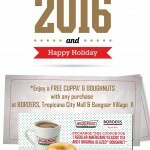 HomeFood & BeverageKrispy Kreme Doughnuts Buy 1 FREE 1 Promotion! 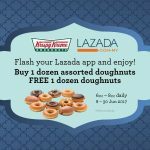 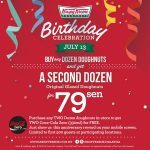 Krispy Kreme Doughnuts Malaysia is offering BUY 1 FREE 1 Promotion! 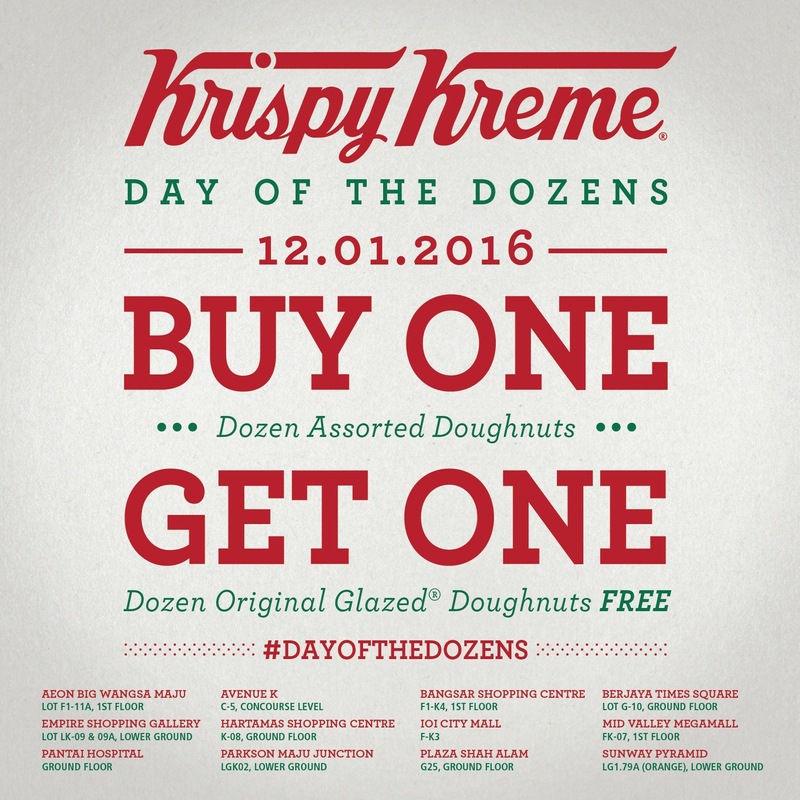 Day of the Dozens Oh yay, it’s on this 12 Jan 2015. 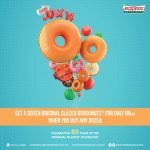 For every assorted Dozen you pick up, you get another Dozen (Original Glazed) for FREE! 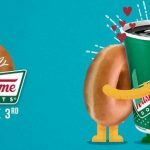 Term and Conditions apply! 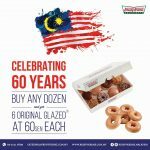 Available at all stores (except at our outlet at Genting Highlands). 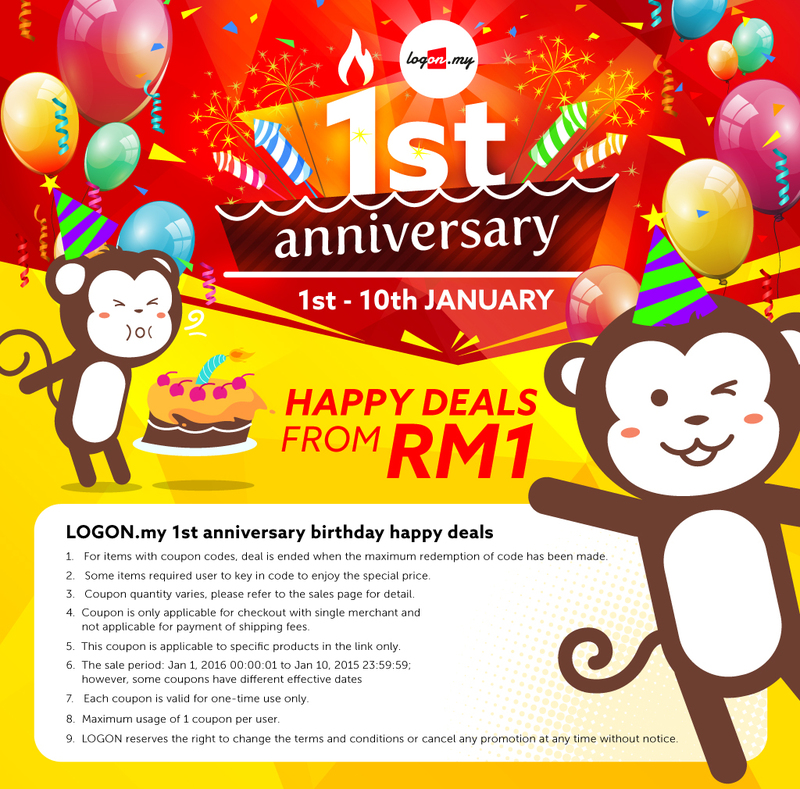 LOGON Happy Deals from RM1 only! 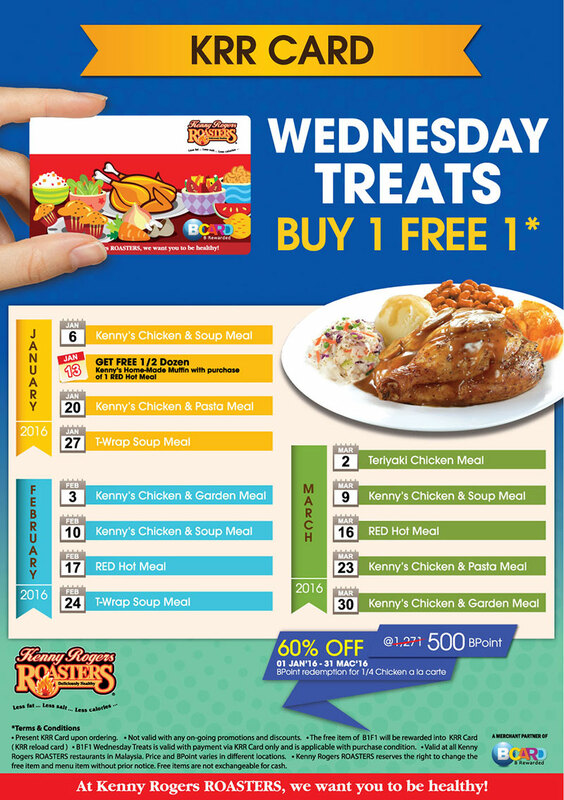 Kenny Rogers ROASTERS Wednesday Treats Buy 1 FREE 1 Promo!